Everyone who has watched Star Wars VII: The Force Awakens has seen the mysterious Supreme Leader Snoke. But who is he? Good evidence suggests he is Darth Plagueis the Wise. Without him there would be no Skywalker family and no Star Wars. He lived a life shrouded in darkness and caused all the problems that plagued the galaxy. Few in the galaxy had ever reached his level of power. Evil has a name. Darth Plagueis was a dark lord of the Sith and the master of Darth Sidious. He later became the master of Kylo Ren. Most importantly, he is the father of Darth Vader. Darth Plagueis poses a menacing figure. He is a narcissist who believes the entire galaxy should rest beneath his thumb. His personality stems from his issues of entitlement. He came from a long line of Sith lords. People know him for his brilliant and logical mind. He is physically frail, but powerful mentally and strong in the Dark Side of the Force. He talks down to generals and gives them orders, belittles the emperor and his many accomplishments, and holds the authority to chastise Darth Vader and his actions. Also Darth Plagueis, and he alone, manipulated his great grandson Ben Solo to fulfill Darth Vader’s perverted mission. The greatest abilities of Darth Plagueis were to create life and to cheat death. He came up with the Grand Plan to take over the galaxy and destroy his sworn enemy, the Jedi. He waited over a hundred years to see his plan unfold. He created minions to carry out his evil bidding. He also took a young apprentice from Naboo named Palpatine and renamed him Darth Sidious. His apprentice was also a narcissist, and the two orbited each other like a binary star system, while they sought to increase their power. Darth Sidious craved his master’s knowledge and wisdom, and Darth Plagueis wanted to feed off his apprentice’s powers of charm and brute strength. The Sith are the cancer of the galaxy, and by their existence, they knock the Force out of balance. The dark lord wanted to make his apprentice a Senator, then Supreme Chancellor, and finally emperor. Darth Plagueis sought to control everything from behind the scenes and give his apprentice orders. He lurked in the shadows as a phantom menace, and he sought to rule the galaxy as the eternal Sith lord. The evil of Darth Sidious would go unnoticed, since he was going to serve in the government. To place his apprentice into power, Darth Plagueis figured the best way to achieve this was to create a crisis. He built a large Clone Army to tear the galaxy apart by civil war. He shared his knowledge of life creation with the citizens of Kamino, who perfected a genetic template for this army. As the disasters increased during the terrible war, Palpatine and his master would achieve greater power than ever before while the government fell into their hands. Darth Plagueis began an obsession with obscure knowledge and everything otherworldly and arcane. On Coruscant he and his apprentice began many experiments with the Dark Side of the Force to influence living things. After decades of Dark Side usage, Darth Sidious perfected the mask ability to hide his true corrupted features. Darth Plagueis feared his apprentice might one day become too powerful. In arrogance he sought to create a being powerful in the Force unlike any other to destroy the Jedi and his apprentice if needed. Darth Sidious said, "Darth Plagueis was a Dark Lord of the Sith so powerful and so wise, he could use the Force to influence the midi-chlorians to create life. He had such a knowledge of the Dark Side, he could even keep the ones he cared about from dying." Darth Plagueis considered this effort to create the ultimate Sith weapon a failure, but the Force fought back in retaliation to Sith’s many experiments. When Darth Plagueis sent his seed across the galaxy, it sensed the Sith’s malicious intent. It changed paths and instead chose to impregnate Shmi Skywalker, a slave woman on Tatooine. She was a human of humble and caring nature, and she was chosen for this reason. This brought into existence the Chosen One mentioned in the ancient Jedi prophecy, which would bring balance to the Force. She named the child Anakin, and the boy grew up fatherless as a slave in a hostile environment. His owner was a junk dealer named Watto. Ten years later, the child was discovered by Jedi knights Qui-gon Jinn and Obi-wan Kenobi. Qui-gon was a rogue Jedi who often went against the council. He was a believer in the Living Force. Unlike the other Jedi, he understood the ways of love and compassion. He noticed the remarkable and unusual child. Anakin was a kind and caring child and was gifted with great abilities in the Force. He wanted to use his abilities to help others. Qui-gon even noticed the boy’s midi-chlorian count even surpassed that of master Yoda. One night Qui-gon asked Shmi about the boy’s father. After Anakin won the prize money from winning the pod race, Qui-gon managed to secure the boy’s freedom from his slave master. Qui-gon wanted to take him to Coruscant to train him as a Jedi. However Watto would not grant Shmi’s freedom. 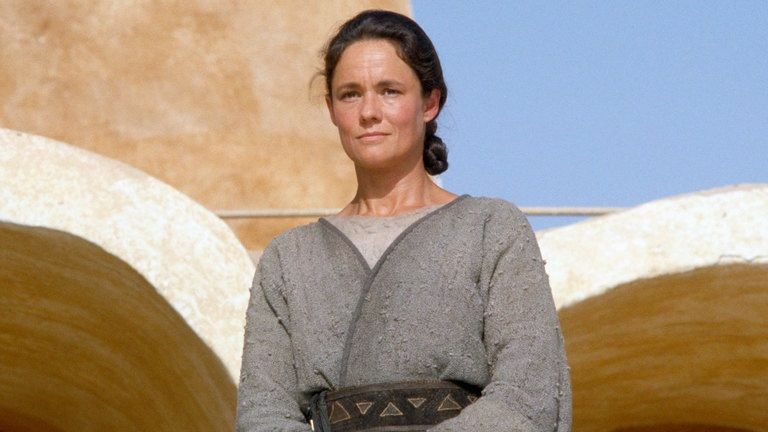 Shmi told her son to go with the Jedi and not look back. So Anakin went with them to Coruscant. When he arrived Darth Plagueis and his apprentice noticed the boy from a distance. Darth Plagueis recognized him as a creation of one of his many experiments. He realized the boy was unstable, since he was conceived from both the Dark Side and the Light. He wanted to one day seduce him to the Dark Side and take him under his wing as his apprentice. Darth Plagueis abandoned the Rule of Two long ago, for he viewed it as a flawed system. For this reason he allowed Darth Sidious to take Darth Maul as an apprentice, but with the understanding that he be trained only as an assassin. However Darth Sidious decided to accelerate his plans. He figured he had learned everything he could from his master. As a result he had outlived his usefulness. The night before his election as Supreme Chancellor, Darth Sidious celebrated with his master their impending victory. During the party Darth Plagueis became drunk with wine and fell asleep. Then Darth Sidious made his move. He went all out and electrocuted his master with a rush of lightning bolts from his fingertips. However, Darth Plagueis fought back and the two broke out in a light saber duel. During the duel Darth Sidious used the Force to slam his master’s face against a wall. Then he took his light saber and cracked his master on top of the head. As he lied there unconscious, he pierced him many times through the torso. Darth Sidious said, "To cheat death is something only one has achieved, but if we work together, I know we can discover the secret." And that was the end of Darth Plagueis, OR WAS IT? As the story goes, the Sith lord did not die at the hand of Darth Sidious, but rather DECEIVED his apprentice into thinking he was dead. He may have stopped his pulse and breathing for a time, but used the Dark Side of the Force to keep himself alive. Darth Plagueis achieved great power, and his only fear was losing it. So Darth Plagueis disappeared into the Unknown Regions and spent the next few years in recovery. While waiting he watched the Senate proceedings through the eyes of simple minded fools and did some political manipulation of his own. He also knew Darth Sidious would one day try to take Anakin as an apprentice. 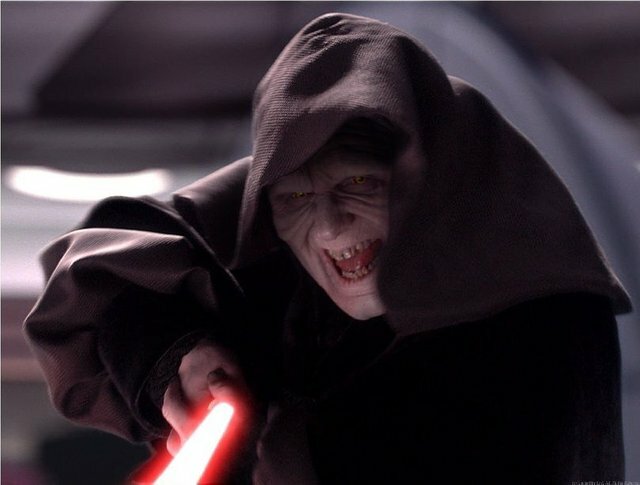 Darth Plagueis waited in the shadows until Anakin finished his job and destroyed Darth Sidious. Eventually Darth Sidious, while posing as Palpatine, managed to seduce Anakin to the Dark Side. Through a long story, he turned Anakin into his apprentice and named him Darth Vader. Darth Sidious took the bait. Now he got the apprentice he truly wanted. In the Senate, Darth Sidious labeled all the Jedi as traitors and crowned himself emperor in the name of better security for the galaxy. Then Darth Sidious executed the notorious Order 66, which instructed the clones to gun down all the Jedi knights embedded among the troops. Darth Sidious achieved great power as he took control of the galaxy. Eventually during the Battle of Endor, Darth Vader destroyed the emperor by throwing him down a shaft. Darth Vader died in the process, but he sacrificed his life to save his son Luke Skywalker from the emperor. Darth Plagueis said, "Have you ever heard the tragedy of Darth Sidious the pawn? Unfortunately, he thought his master taught him everything he knew, and then his apprentice killed him in his sleep. It's ironic… he could manipulate others, but not himself." Darth Plagueis saw an opportunity to return. He was the Sith no one knew existed. He renamed himself Supreme Leader Snoke, and he formed the ashes of the empire into the First Order. He knew that with such a name, his enemies would never take him seriously, and that’s exactly what he wanted. He sat on a throne to assert his authority, and he spoke to his minions through giant holograms to put distance between himself and his potential attacker. He did not want a repeat of what Darth Sidious did to him. The First Order took the worst elements of the empire and amplified them. It fought against the New Republic. Since this government became corrupt under the influence of First Order sympathizers, the Force allowed the Sith to rise up and destroy it. Although the Resistance managed to destroy his superweapon called Starkiller Base, Snoke seemed rather unconcerned since he has many other tricks up his sleeve. Snoke took a new apprentice named Kylo Ren. He seduced him to the Dark Side by offering to teach him more about Darth Vader. Kylo Ren glamorized evil. He worshiped his Grandpa Vader and became just like him. Like Darth Vader, he became torn between the darkness and the light. Although a grown man, he threw gross temper tantrums when he didn’t get his way and smashed objects with his light saber. He feared abandonment from the Dark Side, so he wanted to become more evil and darker than dark. He killed unarmed prisoners to shred all notions of compassion and goodness. When he was wounded, he engaged in suicidal behavior by punching his wound. This allowed him to tap into the power of the Dark Side. Luke burned Darth Vader’s suit at Endor to destroy a symbol of evil. 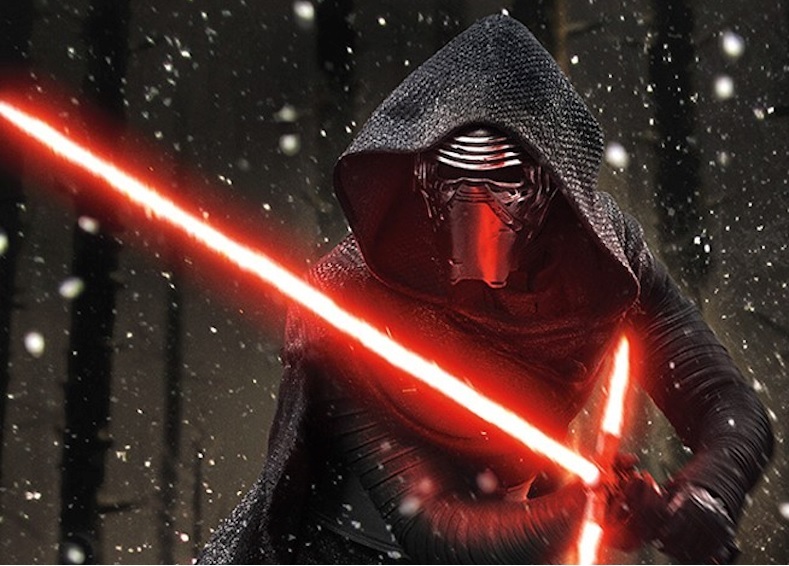 However Kylo Ren went to recover Darth Vader’s helmet from the pyre. He prayed to the helmet to give him inspiration. The redeemed spirit of Anakin called out to his grandson to bring him back to the light. Snoke though spoke through the helmet to manipulate Kylo Ren even further, to kill his family and destroy the entire Skywalker bloodline. Afterwards Snoke planned to crush Kylo Ren as well. 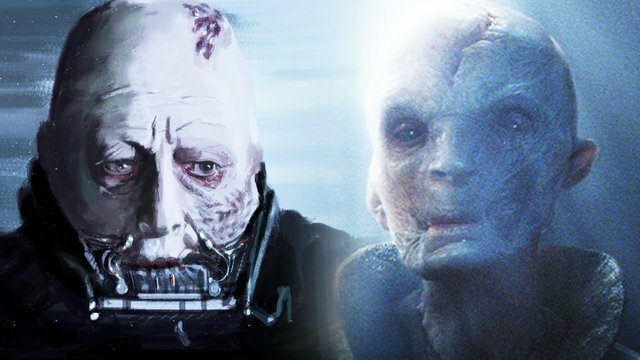 Snoke wanted to bring balance to the Force from his point of view. He realized conceiving Anakin maybe was a mistake. He never intended for Anakin to have children, and he feared the Skywalker bloodline might be his undoing. The stakes could never be higher. The heroes have never faced such a test. A great evil seeks not just their destruction, but the complete eradication of their existence. He even wants to erase them from peoples’ minds by having them believe the Skywalkers were myths. The Dark Side wants to engulf the entire galaxy and leave it in darkness. The fanatical First Order also wants to indoctrinate people with their lies. Most people in the galaxy are filled with indifference and don’t care about what’s going on. Everyone lives in great danger of being swallowed whole. Snoke will never be content unless the entire galaxy rests beneath his thumb. One choice remains for the heroes. They must trust in the Force. The Force is powerful because it’s trustworthy. It has proven reliable before, and it won’t lead them wrong now. The Force is bigger than the biggest evil and greater than any problem they face. It will provide in miraculous ways and will give them the wisdom, courage, and strength to overcome their struggles. The Force can manipulate time and events in their favor. In due time and unforeseen ways, the people of goodness will see their enemies crushed beneath their feet. I checked out the link. Same user. (So I guess Matt gets an upvote from me here, and a page view there)!